"An angel has blessed us," a mom diagnosed with cancer said after John Wall offered to pay for her twin sons' school tuition. Watch to see John Wall share his inspiring message about giving back. News4's Sherree Burruss reports. 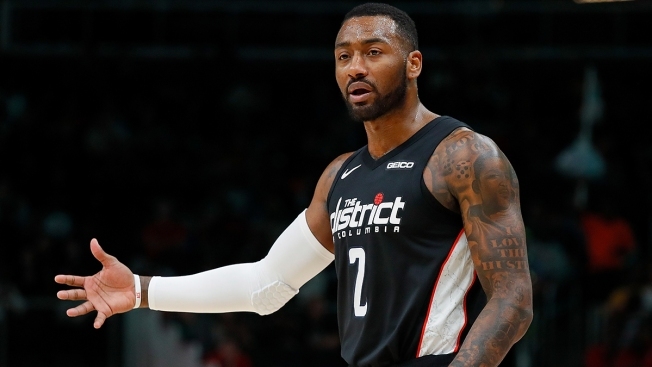 The Wizards said Wall will undergo a debridement, a repair of a Haglund's deformity - described as a bony enlargement on the back of the heel - and a repair of a chronic Achilles tendon injury. He is expected to be sidelined six to eight months. Wall went to Wisconsin to see Green Bay Packers associate team physician Dr. Robert Anderson on Saturday, and it will be Anderson performing the procedure. Anderson is considered an elite doctor when it comes to athletes dealing with foot and ankle problems - as evidenced by a client list that has included, among others, Cam Newton, Stephen Curry, Kevin Durant and Derek Jeter. Wall played in 32 of Washington's 36 games this season entering Saturday, averaging 20.7 points and 8.7 assists even while dealing with the heel pain - which has been an issue for him many times over the past two to three years. But the Wizards have struggled this season, with the 24th-best record in the 30-team NBA to this point, and losing Wall is obviously a significant blow. His absence means the Wizards - who have a slew of other injury woes - are now without the point guard and center that they envisioned having when the season began. Dwight Howard has been limited to nine games because of lumbar surgery, and is likely to be out for another couple months at least.